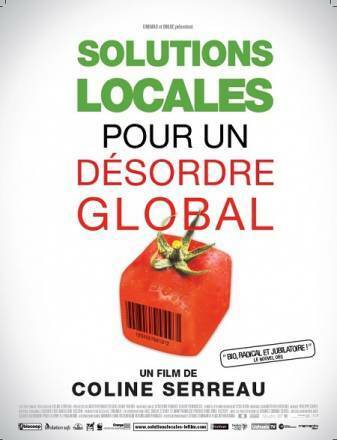 Think Global, Act Rural (original title: Solutions Locales pour un Desordre Global, "Local Solutions for a Global Disorder") is a French documentary about organic farming. It provides descriptions, warnings, and solutions - though how they can be applied on a large scale is not broached. The main speakers are scientists, activists, philosophers, and farmers. There are about a dozen of them who are identified in detail on the film's website. The most memorable images are of the many little bugs that invisibly activate healthy soil, and repeated demonstrations of how the look of plowed, chemically devastated soil differs in appearance and consistency from the looser, pliable "couscous" that is healthy arable ground. The destruction of natural agriculture is a product of modern war. World War I was the beginning of the eradication of the peasant farmer. World Wars I and II led directly to the creation of chemical fertilizers and pesticides to recycle and continue marketing the materials developed by war industries, such as mustard gas. Essentially war on humans was converted to war on the environment. To sell these products farmers had to be convinced that what they always knew was wrong; that soil cannot enrich itself from natural means and seeds cannot germinate without artificial help. Agriculture originally existed for subsistence. When it moved into mass production for urban populations who can't produce their own food, it converted to a factory model. Now, a private farm goes out of existence in Europe every two minutes; hundreds of thousands of suicides have occurred in India due to the effects of the "Green Revolution." The "Green Revolution" comes later in the story, of course, but is the one big thing new students of this subject need to learn about. The "Green Revolution," which got a Nobel Peace Prize, is a neoliberal scheme that globalized the methods and products of agribusiness and caused and is causing worldwide destruction of the agricultural environment and the independent farmer's livelihood. It meant a massive industrialization of agriculture, involving the replacement of a multitude of indigenous crops with a few high-yielding varieties that require expensive investments of chemicals, fertilizers and machinery. Literally the most down-to-earth experts in the film are Lydia and Claude Bourguignon. Lydia is a doctor in food engineering and Claude is an agronomist and doctor in microbiology. They left the French National Food Engineering Institute (INRA) because they disagreed with its thinking and they started their own lab for soil microbiology. Claude explains that deep ploughing and chemical fertilization together ruin the soil. Agribusiness methods are self-perpetuating. It ruins the soil and provides plants and conditions that are not self-sustaining, and then its products must be used, which in turn perpetuate the undermining of agriculture. There have been other, American, documentaries that have described the role of corporations in this process. Bourguignon mentions that attempts were made to develop square eggs and square tomatoes, and we know that Monsanto has developed seeds and pesticides that depend on each other. When the "Green Revolution" took over poor countries, farmers were destroyed economically, sold their farms to pay their debts for buying fertilizers and non-self-sustaining agribusiness seeds, and are reduced to sharecropping on their own former property. The last part of the film shows in rough outline how healthy organic farming is carried out. Examples of a Russian farmer and farming in India and Brazil are given. Think Global, Act Rural is a talky, no-nonsense documentary without a narrator or a grand message or fancy diagrams. It is just a few people talking and images of farming and soil. It has hardly any music. Some of the editing is jumpy. The version I saw was without titles or end credits. It is a piece of advocacy that presents essentially one point of view. No spokesmen for agribusiness or "Green Revolution" are heard from. Programmatic solutions aren't gone into: how do these local solutions become global? How can small farmers get started again? 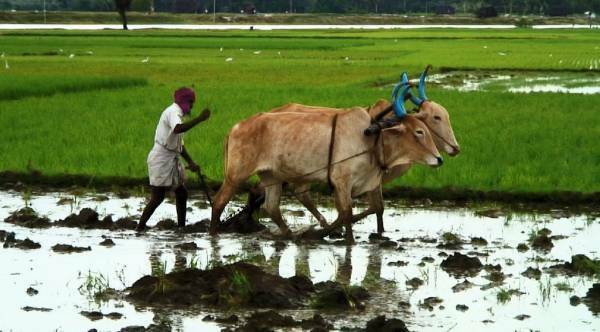 How do we feed growing urban populations with the methods of rural India? Nonetheless this is a good film with important new things to teach us. I didn't know agribusiness grew out of war industry, or that ploughing destroyed farmland; or that crops can grow beautifully on top of soil-enriching plants, and thus weeds can't choke them when that's done; and that planting works best near trees; and farms need cows on hand to grow plants with the fertilizer they provide. Seen and reviewed as part of the Rendez-Vous with French Cinema, a series presented by UniFrance and the Film Society of Lincoln Center from March 3-13, 2011 at three locations, the Walter Reade Theater at Broadway and 65th Street, the IFC Center at Sixth Avenue and West 3rd Street, and BAMcinétek in Brooklyn.